Looking for a new strobe light to amp up your next party or group gathering? You have come to the right place! 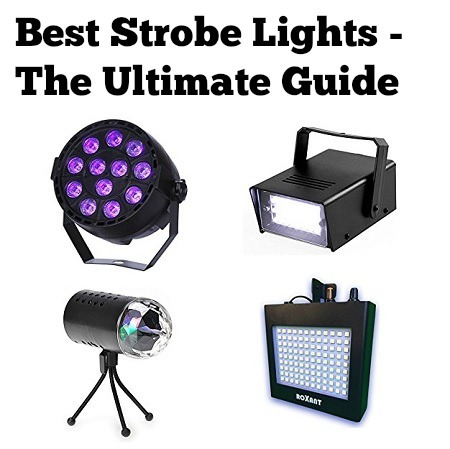 After over three hundred hours of intense research and consulting various pros, we have come up with the most extensive list of strobe light reviews you will find anywhere on the internet. In this review, we list all of the top strobe lights and who makes them and do so through 5 different metrics: Light Performance, Features, Ease of Use, Price, and Overall Rating. We also discuss the different types of strobe lights and which one you should look for to best meet your needs. To read the more thorough review, just hop right below the table. It is easy to become overwhelmed when you see just how many different strobe lights there are to choose from. However, have no fear! We have done the dirty work for you and listed all of the strobe lights and strobe light companies we have reviewed below. Simply click on the handy link associated with a brand and you will be taken directly to our full review of it! ADJ (short for American DJ) is a company that, as you might expect, focuses on selling various DJ equipment. Included in their offerings are a decent array of strobe lights. 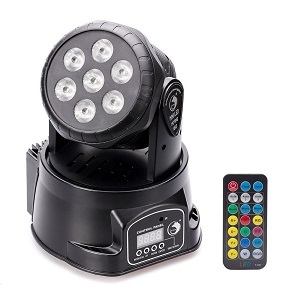 They are one of the more established strobe light manufacturers that we have come across and they hope that their reputation, as well as comparably powerful strobes, will justify their higher than average asking price. As the name suggest, Adkins professional lighting makes their namesake through a huge selection of lighting products and other DJ accessories. 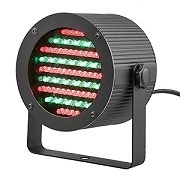 They easily have one of the largest selections of various strobe lights and other types of lights in the industry and will most certainly have something that will meet your targeted needs. The prices are also mostly reasonable and at a lower price point than a lot of the other “professional” type brands on the market. That being said, they do have to make some small sacrifices in order to achieve these competitive price points. ALED Light’s primary focus is on low cost and simple strobe lights that are intended for less-demanding applications such as small parties or get-togethers. The power output is a bit on the weak side and there aren’t a ton of size choices but it should be decent enough for some, particularly at the competitive price point. 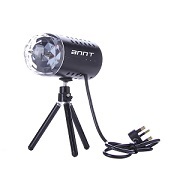 Annt (short for Annt Tech) make various products centered on the premise of strips or rows of small but intense LED lights. Their applications span from DJ equipment to garden equipment and even lights for vehicles. While the individual lights are rather small, they do pack a decent punch and when combined with dozens of others, allow for a decent performance. However, you can tell that Annt doesn’t specialize in any particular type of product and rather has found wide uses for generic LED bulbs. Blizzard (not to be confused with the video game company) has a nice selection of products related to hosting concerts and parties. This includes things such as control panels, stands, atmospheric effect products, and of course various types of strobe lights. Compared to most other competitors, their product lineup is among the largest and most diverse. Their prices are on the high end but Blizzard believes that their superior performance and experience justifies the higher asking price. Chauvet (or oftentimes called Chauvet DJ) does anything and everything related to lights and lighting. As expected, this means that they have plenty of strobe lights and other types of DJ-oriented lights to choose from. All of their units take advantage of various sizes of powerful LED lights and, together, equal lighting performance that can be used in professional applications. While their smaller examples are reasonably priced if you want to step up to one of their more powerful units be prepared to pay. COIDEA is a smaller company but they do have some of the better-selling strobe lights on the online marketplace. Their products are rather limited and you really only have a handful to choose from and all of them are targeted towards those looking for an extremely low-cost and simple solution that won’t have the superior performance and features that more expensive brands have. Cornet strobe lights attempt to compete in the congested world of budget-priced strobe lights and they take a rather simple and even old-school approach in doing so. While they do have a huge selection of strobe lights to choose from, many utilize very simple techniques such as using small quantities of bulbs and mirrors as opposed to more bulbs to increase power. This drives down the price but obviously affects the overall light output. DaCuan has a few different budget-minded strobe lights that are mostly imported from Asia so they do have great prices but less than amazing performance. Most of DaCuan strobe lights are focused on the approach of having rows of small, weak LEDs that combined give off acceptable levels of light and also unique shapes and patterns. Beyond that, the products are very straightforward and don’t have a lot to offer in regards to features. Docooler makes a variety of items (many of which are related to cell phones and cell phone accessories) but they do have a few small strobe lights that they offer. Their products are very simple and utilize tiny, low-cost LEDs that don’t put out a lot of brightness by themselves. They come in at a very reasonable price point but do sacrifice quite a bit in doing so. Eliminator Lighting is a major player in the lighting game and has a huge range of products related to lighting up performances. This includes your standard strobe lights and also spans a wide range of other light fixtures that utilize multi-color options, arrays of smaller LEDs as well as single, large and bright LEDs that are intended to focus an acute light on a specific point. Their prices are rather expensive, however, but Eliminator Lighting hopes that their proven history and quality justifies it. 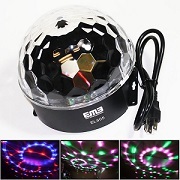 EMB focuses on anything and everything related to music and music accessories and has a large range of strobe lights to choose from. Most of their products are targeted for those that do performances or parties professionally or that simply want to wow their friends and family with their set up and the next gathering. A majority of their products utilize several high-powered LED bulbs of varying sizes that have color-changing abilities. Being a professional-level product, the prices are among the most expensive in the industry. Eshine Tech has a somewhat unique approach in that they focus on products that come in a “total package” in that their lights are multi-directional, controllable, can display in many different colors and patterns, and also can vary in their strobe rate. They are really designed for professional or large-scale settings and their extremely high price tag is representative of that. Eyourlife sells all sorts of products ranging from DJ equipment to motorcycle hardware and even cat claw items! A majority of their products are budget items that are likely imported in bulk from third-party manufacturers so, while you do enjoy reasonable prices, you have to deal with sometimes questionable quality and performance. 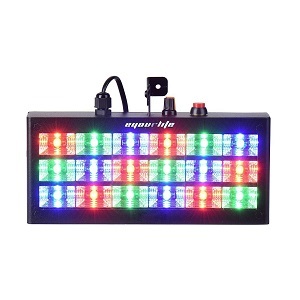 However, Eyourlife has amassed a huge range of strobe lights of various shapes and sizes to maximize being able to meet their customers’ needs. Feifeier might have an interesting name, but they have a lot of products to offer in the lamp and light categories. 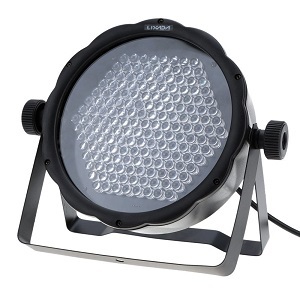 They focus mostly on budget-oriented products but do have a few higher caliber strobe lights in the mix as well. 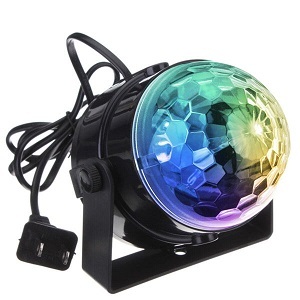 Probably the most unique thing about Feifeier strobe lights is how diverse their selection is and many of their products can’t be found by a lot of other vendors. However, similar to brands that appear to import a lot of different products instead of manufacturing them, you can have some quality issues. Forum Novelties mainly focuses on costumes and party accessories for Halloween, costume parties, etc. Going along with this theme, they have a few selections of strobe lights and other effect lights for what we assume are intended to help decorate settings or scenes. Their niche seems to be extremely low-cost products that have attractive price points but have questionable quality and performance. There is also not a whole lot of variety, with most Forum Novelties strobe lights being small and utilizing small numbers of LED bulbs. GBGS is another brand that doesn’t focus on just one thing, with their categories spanning from music to lights to even pet supplies. However, despite their broad approach, they do have one of the largest and most impressive lineups of strobe lights in the industry. They have all shapes, sizes, and prices to choose from so you are likely to find something that meets your needs. Glisteny does anything and everything related to lighting, going from terrarium lights to ID badges and, of course, strobe lights. Because of their diverse product selection, they have a good grasp of what kind of light fixture, LED quantity, the power necessary, etc. that is needed in order to meet the expectations of a particular type of light. That being said, they don’t seem to put a lot of emphasis on extremely high-end, professional strobe lights. Prices are also reasonable across the board. 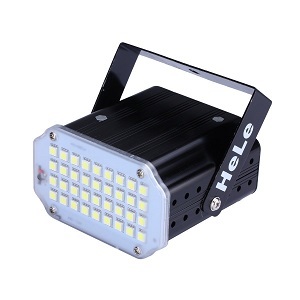 HeLe is another brand that tries to offer up a large selection of third-party strobe lights, albeit a majority is on the smaller and compact side. 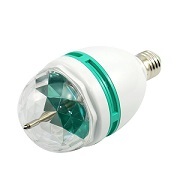 Prices, as expected, are very competitive since the main component, the bulbs, are made of low-cost LEDs. One thing that is somewhat unique about a lot of HeLe strobe lights is that they can be powered via battery or rechargeable battery pack. But that also further proves that they aren’t going to really be pushing that much power. Ingleby is yet another brand that tries to load up on selections when it comes to strobe lights. Many of their designs are very similar and it is fairly obvious that they are imported many, if not all, of their products from foreign manufacturers. While this isn’t necessarily a bad thing, it can be sometimes questionable performance and build quality. However, it also helps to drive to the price and allows there to be many very affordable Ingleby strobe lights to choose from. Kapata strobe lights are all rather similar in that they tend to be on the smaller side and output lower levels of light but do come in at a very affordable price. Most, if not all, of Kapata’s strobe light designs have likely been seen by you before from other brands which go to show that they are likely doing the common approach of importing budget items from China to sell. And, as always, this definitely helps with the asking price but can sometimes leave some to desire when it comes to performance. Kingsgo sells a huge range of products in just about every category imaginable. The fact that they spread their target audience so wide means that, while you can likely find a specific product that meets your needs, Kingsgo may not have quite the reputation of knowledge that makes some more niche-focused brands stand out from the competition. However, they do sell their products are very reasonable prices. Laluce Natz is one of the somewhat rare specialty companies that puts a lot of focus on LED strobe lights. Their products tend to be much higher-powered than a lot of other brands and are targeted more towards those after a professional level strobe light rather than a budget introductory one. Because of this, their products are a bit on the expensive side but the increase in performance is noticeable. Lilyminiso is another brand that offers up many different products. But, in regards to their strobe lights, they do have a rather diverse array of many lights. Specifically, they offer several low-cost options as well as some more powerful and expensive options for those who want to step in the performance and features. You will probably recognize many of their designs from other brands that we have reviewed but their decision to offer both budget items as well as more expensive ones helps them to stand out some. 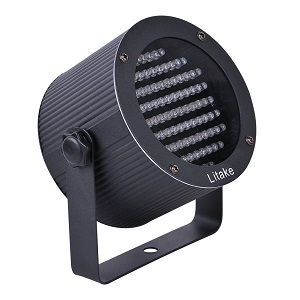 Litake deals with LED lighting, nursery lighting, musical equipment, and more. Most, if not all, of their products will be readily identifiable and likely seen by sold by other manufacturers. Performance is acceptable but by no means, ground breaking and the asking prices are reasonable but not quite the cheapest you will find. Lixada deals in anything and everything related to lights and is one of the few companies that we have come across that also deals significantly in bulbs outside of the standard LED types. While having many different light fixtures is always a good thing, their lineup of strobe lights is actually somewhat sparse due to how varied of a product lineup they have. 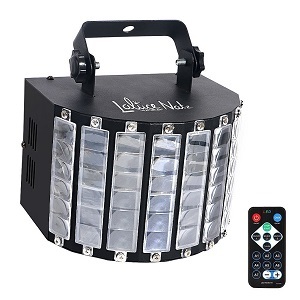 However, the Lixada strobe lights that are available promise to have the high-quality construction Lixada is known for but also the somewhat high Lixada asking prices as well. Mad Owl appears to deal almost exclusively in professional-level lighting for a major concert or DJ events. The lights that they offer are extremely powerful and capable but are also very expensive. Their selection is vast and they have products to offer for just about everybody as long as you are willing to open up your pocketbook for them. 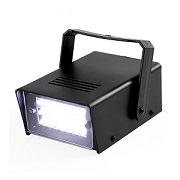 MFL has a small but relatively popular lineup of strobe lights to choose from. Despite its size, there is a nice variety of approaches, ranging from typical arrays of small LED bulbs to larger, more powerful bulbs that come in smaller quantities. The target audience appears to be on the higher-end, as the typical performance (and asking price) is above what many people would be looking towards when shopping for the best strobe light for them. Missyee sells quite a few different products including strobe lights, albeit their strobe light selection is somewhat lacking. They really only specialize in one type of strobe light that comes in 18 LED and 36 LED varieties. The power output is actually pretty good but since they are not designed to rotate they come in packs of 8 which can be somewhat expensive. Monoprice sells just about everything you can think of and that includes their lineup of strobe lights. They have taken a more premium-minded approach, with nearly all of their strobe lights being powerful and quite expensive. The designs they use are well-established and recognizable and it appears that they have imported many of their products rather than build them in-house. As the name suggests, Mr. DJ focuses on DJ-related equipment that ranges from audio equipment to trusses and stands and, of course, LED lights. Their LED strobe light selection is vast and covers just about every price point and power requirement you can think of. There are also plenty of selections of light configurations varying from single bulbs up to large arrays. Mr. DJ does appear to have quite a bit of experience when it comes to strobe lights so their prices are a bit higher than much of the competition. OPPSK has a small but very popular lineup of strobe lights that they offer. They are often advertised in a very unique and eye-popping purple color that is actually thanks to UV bulbs but some of their products have the ability to display multiple different color tones. Their power output is also quite good and they seem to prefer an approach of using fewer, more powerful LED bulbs instead of many weaker ones. Prices tend to be in the upper echelon of price tiers, however. Rasha Professional is considered by many to be one of the premier brands when it comes to strobe lights and really any sort of concert or DJ-related lights. Their products are extremely powerful, versatile, and loaded with just about every features you can think of. Plus there are tons of options to choose from. However, they are among the most expensive strobe lights you will come across in any category. Roxant is another brand that spreads its wings and offers up products in a variety of categories, mostly revolving around electronics of some kind. The selection of strobe lights is a little lacking and seems that they sort of picked some items at random that they would sell. The price points are mid to premium range. Solmore does anything and everything related to lights, mostly LEDs, and has an acceptable range of strobe lights. Many, if not all, of their products are based on popular designs that you have likely seen before and we wouldn’t be surprised if they imported many of their products from the same distributors/manufacturers as some of their competitors. Their focus in on lower-end, budget strobe lights that have proven results and can fit into just about anybody’s budget. Spriak appears to import a few different categories of items and this includes a small selection of simple strobe lights. Specifically, they only offer a couple different designs worth noting and both are intended for low-cost and simple applications. However, the designs are popular and sell very well online so they are worth mentioning in this review. Out of all of the companies that we have looked at in regards to strobe lights, Starlight is likely one of the, if not the largest in terms of product choices. Their lights span just about every application you could think of, ranging from stage and theater lighting to security lighting and even pyrotechnics. They also have a variety of light sources including the ever-popular LED but also standard incandescent and even lasers. There is quite a range on price but typically you should expect to pay average to above average prices. Sumger is another brand that deals in mostly imported strobe lights with their target market being mostly budget with a few mid-range products sprinkled in. Their products approach things from a very established way, dealing with mostly arrays of weaker, efficient LED bulbs that will cast many light particles onto whatever surface it is pointing towards. 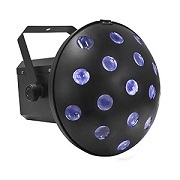 Superdream offers several different kinds of strobe lights that are intended for those on a tight budget. They are very affordable but do have some quality and performance sacrifices to achieve their competitive price point. They mostly utilize many small weak LEDs that require little power output. 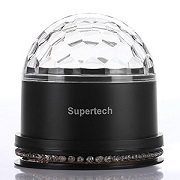 Supertech deals in anything and everything related to electronics and is one of the more popular retailers in the online world for electronics. Within this, they do have some strobe lights that vary quite a bit in their size and approach with the main similarity being that they are typically on the lower end in regards to price scale. TSSS deals with stage lights, clamps, and DMX cables. Their strobe light selection is diverse and explores budget, mid-range, and even a few premium options. It seems like most of their units are your typical imported examples that many of manufacturers also sell or sell something very similar. However, we do appreciate their decision to go with such a broad collection in regards to price range, features, and performance. U’ King might have a somewhat odd name but they do have a very diverse selection of LED-related products. Of a somewhat interesting note, they seem to focus a lot on flashlights and headlamps as well but do have plenty of strobe lights as well. Their target price points appear to be a budget range with a few mid to premium-range strobe lights sprinkled in as well. Most, if not all, of their strobe lights are recognizable designs and are sold in a very similar manner by quite a few other companies. We assume that it is pronounced “Wow to you” but aren’t for certain on this. Either way, they have some quite popular strobe lights that they sell on various online marketplaces. While not the largest selection, they have a few different options that mostly focus on low-cost examples that utilize small LED bulbs. XKCL appears to sell mostly LED-based strobe lights on an online fashion and doesn’t bring a lot to the table beyond that. This is both a good thing and a bad thing: a good thing because one could assume that means they know what they are doing when it comes to strobes and a bad thing because it also means that their approach might be somewhat mundane since they don’t think outside of the box. They do offer a nice variety of strobe lights, however, although most are based on very similar designs that you have likely seen before. Asking prices are about average. There are many things to consider when trying to figure out the best strobe light for you. 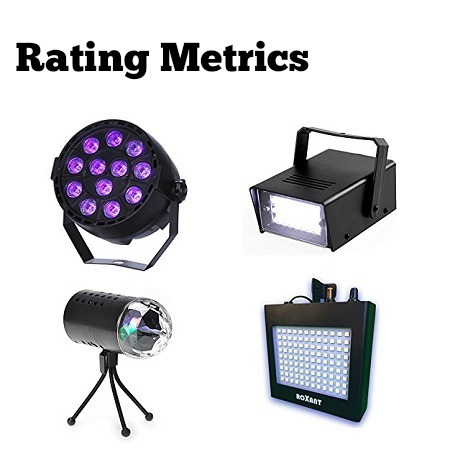 To help with this lofty task, we have compiled what we feel are the most important metrics to consider when shopping for your next strobe light. We break down each metric in greater detail right below. The light performance is probably the most recognizable and typical metrics (next to maybe price) that people associate with qualities to look for in strobe lights. That being said, the definition can be somewhat broad and rather subjective. There are many different ways that a strobe light may display its output. This varies greatly depending on the number and size of LEDs, the shape of the housing, the power output, and the type and quality of various light settings. In addition, someone who has a small room may not need or even want an enormous and super bright strobe light as it may simply provide TOO much light! So when considering light performance, we take all of this into account. We look for products that produce quality and effective light with all of the settings you would want and expect for a given target audience. There can be a bit of overlap with some of the light performance features mentioned above and this metric. However, there are many other features that a good strobe light can have the go beyond simple light performance. This can include things such as movable heads, remotes, multiple audio and/or video channels, mounting bars and/or bases for standing up, and much more. Some features people may specifically be after while others are welcome surprises. It will be helpful for you to figure out exactly want features you are after and filter our strobe light reviews by that. There can be a surprising amount of initial set up in some of the more advanced strobe lights out there. This may be a big turn off to some while a necessary step to others. Things that can make for a less user-friendly strobe light include having to calibrate more advanced light settings, configure with mix boards, having to mount them, and also mobility and storage challenges. For those after something quick and simple, there are plenty of smaller products on the market that are a breeze to use but it typically comes with a bit of a sacrifice in regards to performance and available features. As always, price plays a role in determining what the best types of products are. Strobe lights have a rather wide price range, with higher-performing and more powerful units obviously fetching a higher asking price. As we do with other reviews on Reviewta, we try to find a happy balance between price and performance. In other words, just because a particular strobe light is more affordable doesn’t automatically mean that we will rate it higher. Rather, we will compare it to what else is out there that is at a similar price point. A strobe light that blows us away in all categories but is rather expensive may still rank better than a budget example that struggles in many categories. As the name suggests, this metric encompasses all of the other metrics to come up with an overall rating. This rating is a nice, general idea of how we feel about the particular product. A good rule of thumb is that anything 3.5 stars and above is usually a recommended buy from us while everything below you may want to reconsider. That being said, there are cases where a lower-ranked product might still be the best for your needs. That is why it is important to make a mental (or even physical) checklist of what all you are after as that will help in pinpointing the best strobe light for you. 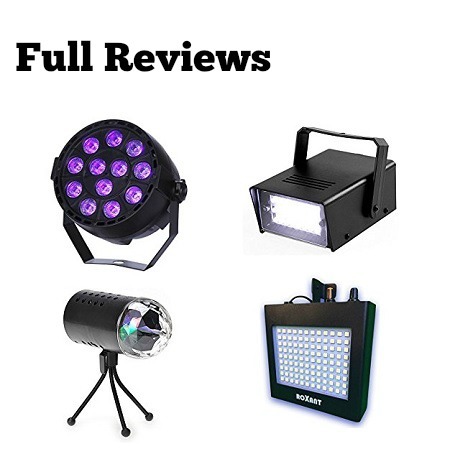 These are all our full reviews for the strobe lights mentioned above. We break down the specifics of each, their pros and cons, and give them a rating based off of our rating metrics. Light performance is quite good and there is a rather diverse range of power outputs to choose from, starting from the small 3-watt S81 LED all the way up to the enormous and powerful 1,500W SP-1500 MKII. This means that there should be something with adequate light output no matter what your goals are. There is also a range of bulb configurations with two of their products such as the COB CANNON being controlled by a single bulb while ADJ’s Matrix Quad and S-81 having an array of individual smaller LED lights. There is a nice range of features to choose from in all of ADJ’s larger units. This includes variable dimming, adjustable speed from 0 up to 15 flashes per second, various operation modes, 4 button digital display, variable dim curves, and much more. This means that you have a lot of freedom to customize how the lights are outputted to better suit your specific needs. And this all comes in a package that doesn’t require a lot of power to run which helps to keep costs down. All of the great features are helpful but they do come with a bit of a learning curve. Somebody who is just starting with strobe lights will need to play around with the settings for a bit to find the modes and ratings that they like. However, we are impressed with the simple display that ADJ has which makes it easy to tweak the settings without being overwhelmed. There is also a helpful digital display on some of their products that take some of the guesswork out. Finally, the stands that are used are easily adjustable and stable enough to make pointing in the perfect direction much simpler. ADJ strobe lights are a bit more expensive than many of their competitors but this does come with great light performance and plenty of features. We feel that American DJ strobe lights are more targeted towards the professional setting where someone will be willing to spend more for a higher performing product. American DJ strobe lights offer up an impressive range of strobe lights that should meet just about everybody’s needs from a casual hobbyist up to professional parties. The light output is plenty powerful and they have designed their units to work well with music timing and dynamic environments. They are a bit more expensive but we feel that they are worth the higher price tag for what you are getting. One thing we certainly do enjoy about Adkins Professional Lighting strobe lights is just how many different sizes, colors, and shapes you have to choose from. That being said, one thing you may quickly notice with them is that a majority of the products utilize smaller LED bulbs that are lined up in an array as opposed to a single or smaller number of very powerful bulbs. Specifically, the overall power output of Adkins Professional Lighting is on the lower side compared to many other professional-oriented brands but by sheer numbers, they add up to be appropriate. A huge benefit of this is also the added customization you can achieve but having multiple light sources and this certainly adds a unique effect that you can’t achieve with units with single bulbs or even small quantities of bulbs. Most of the standard features that we like to see are present but not much more than that in most of their products. This includes things such as sound activation, auto-run modes, color controls, and rotating ability in some of their higher end models. However, some of the more advanced features that some DJs like that allow for better honing in with their music is nowhere to be found. This makes these great for situations where you are simply wanting strobe effects to add to the environment but for those who are looking for a more customized experience, you may be a bit disappointed. All of Adkins Professional Lighting’s strobe lights are very simple to understand and use. This is partially due to the lack of many of the more advanced features but they still do a good job of presenting the features that are in place so that anybody can adjust it to their liking in a short period of time. In addition, all of the essential mount points and adjustable locations are present which makes it simple to point the lights in the direction they need to go and also make some fine tuning as necessary. A majority of these products are very reasonably priced. There are a few more powerful units that are quite pricey but also put out impressive lights with a ton of customization features. However, it seems that they have focused more on the regular consumer who wants a good product for a good price. 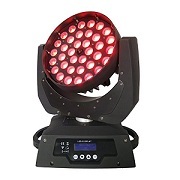 Adkins Professional Lighting gives us a giant selection of strobe lights and other types of strobe light-like fixtures in just about every color, size, and shape you can imagine. The power output tends to be about average if not on the low end, but they combat this by including several bulbs on most of their products which add together to have acceptable light output and also the added benefit of more customization options. The features presents are average but more advanced features may be lacking for some. However, the reasonable price makes it easy to overlook this minor complaint. The LEDs that Annt uses in many of its products are pretty generic in performance and brightness. To offset this, Annt adds multiple bulbs to all of their products which not only increases the overall brightness but also puts out a cool look that single-bulb strobe lights can’t do. On the opposite end, however, is the fact that the bulbs also don’t really strobe as well as single, stronger bulbs can. There are three different color outputs to choose from but for those looking for a traditional flashing feature, you may leave a bit underwhelmed. Annt strobe lights are rather bare bones in regards to features. There is little in the way of changing flashing patterns or synching it with music. It is advertised that the products are voice-activated but as far as we can tell this simply isn’t true. Also, the features that are available are not easily accessed since there is no remote. The lack of features does make it simple to use. You basically plug it into a power source and it starts going. However, you won’t get much customization beyond this which is somewhat off-putting. In addition, the build quality is rather lackluster and there are multiple reports of the unit going out way too soon or shutting down in random intervals. The LED bulbs themselves, however, should last for a long period of time. The asking price of these products is extremely affordable. Honestly, the level of brightness you receive from this is more than enough given then great price but you definitely are reminded that this is a budget item when you compare it to the lack of features and sketchy build quality. Annt strobe lights are good for those on an extremely tight budget and looking for a simple strobe for a small setting like a single-room party or to decorate a patio temporarily. However, the performance is nothing amazing and you will struggle to get the special effects you are after if you try any more than that. The short list of features is another strike against these products but for the price, we can’t be overly picky. The light performance is great across the board. Blizzard strobe lights come in both rows of smaller LEDs as well as larger, more powerful bulbs that come in smaller quantities. This means that you have a wide selection of ways to approach lighting up your next event. With the units with smaller LEDs like the SnowBlind and Lo-Pro CSI, you will get more acutely lighted areas while if you go with something like the Tournado CSI COB, you will enjoy a more consistent and intense light in a specific area. Power output, even on the units with smaller LEDs, is quite impressive with many having over 100W. All the while, energy efficiency isn’t bad thanks to the usage of LEDs over more conventional forms of light. Blizzard strobe lights are loaded with great features that can make your next event a success. 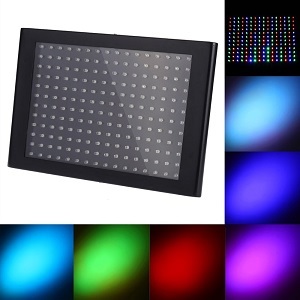 All of the standard offerings are present such as sound-activation and variable dimming but beyond this, there are more specialized features like multiple channels, pre-set dimming modes, pre-set light modes, built-in overheat protection, the visual display LED panel, microphone sensitivity adjustment, and much more. Some of the higher-end models also come with configurations that allow for movement in 3 directions which can be timed with your music to make a truly special scene. These units do have a rather high learning curve, particularly for those who are trying to sync it to music. The fact that they are capable of such feats is an accomplishment in of itself, but it is important to understand that many of these models are simply “plug and play” and will require some calibration and fine-tuning beforehand. However, for all of the features and alterations you can make, Blizzard does a good job of making it as easy to follow as possible thanks to the LED display screens and plentiful mounting points on the frame. With all of the features and great performance that Blizzard strobe lights have, they certainly aren’t cheap. While they do have some smaller offerings that are more budget-oriented, if you want to enjoy the true potential of Blizzard strobe lights you better be ready to pay a relatively high asking price. However, for those after something that can handle a larger audience and/or bigger rooms then hopefully your budget is a bit wider for these types of purchases. 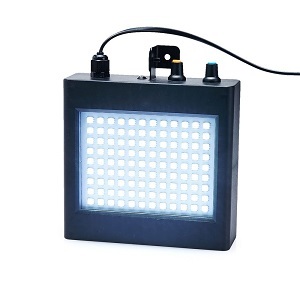 Blizzard strobe lights are targeted at those who are wanting to step up in their lighting game for their next event. They have a huge selection of products that come in a variety of shapes, colors, and bulb sizes. All of the features you look for and more are present and the performance is great across the board. However, they do require a bit more initial setup and they definitely aren’t cheap but for those after some of the best, this should be only a minor concern. Light performance for Chauvet DJ strobe lights is great. No matter if you go with the single-bulb 2000S Techno Strobe or one of their many multi-LED arrays, you will enjoy great brightness and crystal-clear color thanks to their premium LEDs. There are also plenty of colored LED options for those that want to mix it up. Many of their units are 40+ watts of power so you know you are getting a professional-level strobe light when you go with Chauvet. Arguably their most popular product is their Mini-Strobe which, while not being professional-level, will surprise you with its brightness when you see how small it is. 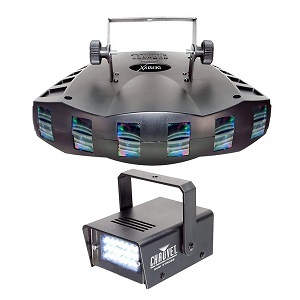 Features are great and scale up depending on the caliber of Chauvet strobe light you go with. Both conventional and professional-caliber features can be present if you are willing to pay and you could essentially set up a large scale show or DJ concert with these lights. There are plenty of settings and calibrations that you can tweak that affect timing, lighting, direction, patterns, etc. In other words, you should be content with what is offered. Most of their units also come with a remote which makes for easy tweaks as necessary. As mentioned above, we really like the inclusion of the remote and there are acceptable levels of adjustments and mount points to make these lights work for you. Just keep in mind that there can be quite a few features that might need fine-tuning and the Chauvet product are missing the helpful easy-to-read LED displays that some of the other premium-priced models offer. However, once set up properly, they are simple to use and alter as necessary. 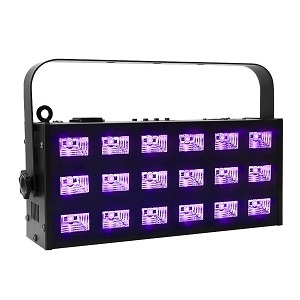 There is actually a rather large price range for Chauvet DJ strobe lights, varying from being very affordable for their micro strobes up to being rather expensive for their professional units. It really depends on what you are after but you will most likely be paying on the higher-end compared to the competition. However, you get a great product for that higher asking price. Chauvet is an established brand that is one of the go-to examples for those wanting to bump their lighting performance up a notch. Their products are tried, tested, and proven and provide an excellent light output, more than enough features, and acceptable build quality. However, they do come at a premium asking price but for those wanting the best, it is still very reasonable. The light performance of COIDEA strobe lights is somewhat underwhelming when directly compared to larger, more expensive products but for its size, it doesn’t do a terrible job. That being said, it will not be able to handle lighting up larger rooms or for DJs and performers who are really looking to wow their audience. They utilize a collection of smaller, weaker LED lights that have the ability to change into a variety of popular colors and shapes. The features are somewhat lacking except for the ability to change colors and shapes. There is a sound activated feature which is nice and we do appreciate including a handy remote that makes for easier operation but for people looking for multi-channel inputs and the ability to sync with your music or performance, you may be disappointed. These units are very simple to use and anybody can pick up a COIDEA strobe light and easily feel comfortable with it in a matter of minutes. As mentioned above, the inclusion of a remote was a great idea and all of the necessary controls are easily located on it. This product seems like it is intended for those who want to quickly set up a strobe light for an added effect for a makeshift party or get-together and for that purpose it is more than adequate. The asking price for these strobe lights is extremely affordable. You definitely give up some sacrifices to achieve this competitive price point but for many, this unit will be more than enough for their needs. COIDEA strobe lights hit a great price point and meet an existing niche of those wanting something quick, simple, and affordable. All of their products are definitely on the small side and, as such, they will struggle to give out super bright lights that cover great distances. However, for small rooms, it should be enough to add the extra flair you are looking for. For everyone else who is wanting to up their strobe light game a notch, COIDEA’s products simply won’t be powerful enough for you. We were rather disappointed with the light performance of Cornet strobe lights. The decision to only use a single bulbs or filament in most of their products definitely hurts them here and you may find that the light output simply isn’t bright or intense enough for many of your needs. While it does mean that these units don’t require much power to run, having bulbs with single watts of power and nothing to back them up means that anybody more than the casual hobbyists will likely yearn for something more powerful. In addition, there have been reports that the bulbs do not line up properly and that they also struggle with keeping a consistent timing when being used. There is little in the way of features. Other than the ability to adjust the flash speed some, you are very limited in flexibility. We understand that this is the price you often have to pay when going with a low-cost option but we still have seen plenty of other brands that are similarly priced offer much more in the way of features. Using these products are a breeze when they operate correctly. The problem is that they have had several reports of issues that will directly affect usability. The biggest ones are the intermittent shut offs and the lack of proper light timing (mentioned above). You may find yourself having to constantly fidget with it in order to get it oriented where you want it and even then you will find it occasionally randomly shutting off. Talk about frustrating! The asking price is great on Cornet strobe lights but there are simply too many sacrifices for us to be comfortable with. We would be fine with spending a few more dollars to increase the performance and reliability if it came to that. Cornet strobe lights attempt the low-cost approach and unfortunately miss the mark in several key areas. The decision to go with a smaller quantity of LED bulbs is great for cost but really hurts the brightness levels you will experience. There is also little in the way of features, even considering that it is a budget product. Finally, there are some major quality control issues that need to be dealt with. We understand trying to save a couple bucks but in this case there are better options out there for a just a little bit more money. The individual LED bulbs that are contained in most DaCuan strobe lights are very weak by themselves but, combined with dozens of others, produce enough light to make most people happy. However, the weak lights will be easily overwhelmed in environments that aren’t completely dark or that are large. The lack of intensity simply doesn’t make the light rays go as far as some would have hoped for which really limits the applications you can use DaCuan strobe lights for. Also, for those who prefer a single or small number of brighter lights as opposed to chains of dozens or more due to the different types of light output, you won’t have a lot to choose from. Most of their products come with 3 to 7 channels and multiple colors which are quite nice. There is obviously the ability to manipulate the flash rate as well. This by itself puts DaCuan strobe lights a bit ahead of the curve of other low-cost solutions but still will be lacking many of the more expensive products. The operation is very straightforward and easy to pick up. We do wish that there was a remote with these products, seeing how even most budget strobe lights seem to come with one these days. This means that you will have to get the settings just how you like them before mounting this strobe light somewhere difficult to reach. Speaking of mounting, there are an acceptable number of holes and areas to mount these products to get them in the correct orientation for your needs. The price point is very competitive on all of DaCuan’s products. Typically, you will find that their strobe lights fall well into the budget category and should be within everybody’s budget. Obviously, this means that you will have to make some sacrifices in terms of performance and features, however. Overall we were relatively content with DaCuan’s strobe lights. While they aren’t the biggest or the brightest, the usage of large numbers of LEDs helps to somewhat offset their weak nature. However, there are notable limitations with larger rooms and environments. There are enough features present given the price but we do wish that there would be remotes included in all of their models. These are an acceptable product for those on a tight budget who are looking for something simple for their small party applications. Light performance is not great on these. The LEDs that are used simply don’t put out enough light. To make up for that they put a ton of lights on some of their products. 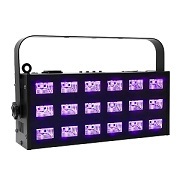 For instance, the Docooler 35W unit has a whopping 192 individual LED lights! This may seem like it should put out a ton of power and it does amount to 35 Watts of power but despite all of the bulbs, the brightness just isn’t there. The fact that Docooler mostly uses small LEDs also means that you won’t get the consistent light coverage that you do with larger, more powerful bulbs. Really the only affects worth noting here are the ability to change to a few different colors and change the speed and strobe timing of the lights. But for those looking for more advanced options such as sound-synching or being able to control where the lights point at any given time, you will be out of luck. There is also not remote included so you will have to take that into consideration while placing it. While the Docooler strobe lights are simple to use, it more has to do with its lack of features than a user-friendly layout. As mentioned above, there is no remote which can be quite frustrating as you will have to keep the strobe light within reach to make changes. Also, the weak LEDs limit how much freedom you have in light manipulation and it may be difficult to achieve a certain “feel” with the lights outside of what it normally does. The asking price is very reasonable and among some of the most affordable strobe lights you will find. However, this comes at the cost of somewhat weak performance and not a whole lot of features to get excited about. The Docooler strobe light series is a simple and straightforward design that utilizes many small LEDs that are weak by themselves and hopes that power in numbers will negate this fact. While it does obviously help, you still don’t get to enjoy the level of brightness and light performance that you see with a majority of the other products on the market. In addition, the feature lineup is severely lacking. While a very affordable buy, there are much better products that can be had for around the same price. Overall, the light performance is fantastic across the board. The power output of Eliminator Lighting strobe lights is very impressive, starting in the single digit wattage for their smaller LEDs and going up to a fifty watts or more for their more powerful arrays. They also have a great variety of color outputs and have set up their products so that there is likely a bulb setup that will work exactly for your desired applications. There are also great pre-set patterns and movement settings that allow for a very dynamic and fun dance floor, concert venue, party room, or whatever else you are looking for. In regards to features, Eliminator Lighting strobe lights have everything you are looking for. While having the typical color and strobe timing options is nothing groundbreaking, they really stand out in their ability to synch many of their products to your DJ table or soundboard. This allows for easier timing with the music or scenes in a play or act and gives you much greater control over how your lights look compared to a lot of the competition. There is a pretty big range of how easy or difficult a particular Eliminator Lighting product is to operate. The lower end “budget” items are, for the most part, plug and play and the settings are easy to understand and manipulate to your liking. For the more advanced products, understanding how they time in with control boards and fine-tuning the light direction and flash timing can take a bit of practice. However, they present all of the settings in an easy to digest way that minimizes how much time you have to spend tweaking. The asking price for Eliminator Lighting strobe lights definitely isn’t cheap. In fact, it is among the more expensive product lineups in the industry. That isn’t to say that all of their products are super expensive. 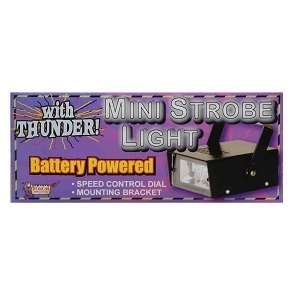 One of their best-selling products, the mini-strobe light, is extremely affordable. However, if you plan on going with one of their professional models then you will have to open up the pocket book a bit more. But you definitely get to enjoy quality and performance with whatever Eliminator Lighting product you go with. Eliminator Lighting strobe lights really impress us with their superior lighting ability, no matter if you go with a smaller LED array or one of the larger LED models. In addition, there is such an enormous range of products to choose from you are sure to find something that fits your specific needs. The features are plentiful and should appease everyone from the casual strobe light lover all the way up to someone doing this professionally. Yes, the asking price isn’t cheap but it is well worth it in our opinion. EMB strobe lights have a somewhat unique approach in that they seem to prioritize displaying small LED dots rather than encompassing light that will fill a room (similar to what you have with most strobe lights). Because of this, those looking for the standard strobe effect might be a little disappointed. Also, the LED bulbs, while powerful, do not add up to produce a lot of light in our experience. In other words, EMB strobe lights seem to be good for added affect but you may want to look for something else if you are after more significant strobe effects. The available features are average if not slightly above average. As expected, the ability to change colors and flash speeds is present but there are also some medium-level tweaks available to help you fine-tune the strobe light to your mixer, soundboard, or computer. This is helpful for those wanting to bump up their light performance a notch. The only major thing lacking is not enough focused light. You are really limited to moving light particles which may or may not be what you are looking for. These units are easy enough to use but can get somewhat more daunting when you incorporate mixers into it. Also, since you aren’t dealing with wider areas of light, you will have to adjust and manipulate the projection of the strobe light a lot more than with a typical strobe light that simply flashes “on” and “off”. The asking price for EMB strobe lights is well into the premium price category and are among the more expensive units in the industry. You do get a quality product that should last for this but, due to the somewhat narrow application and large size, some people may be able to find what they are looking for at a much cheaper price elsewhere. EMB strobe lights aren’t bad but they do have a very focused application. For those after a solid, professional-level projector that displays moving colored LED particles, these products will be great for you. For those looking for a more generic strobe light and also at a more affordable price, you may want to look elsewhere. The light performance is fantastic for these products. The power consumption per bulb fixture comes in some impressive numbers ranging from 20W to 200W or more which means that they put out a ton of light that will illuminate even the largest room. It is important to remember that the images are going to be more focused than a standard strobe light so you may want several if you are looking for the encompassing strobe effect for an entire room since these aren’t really designed for that. Another cool feature that isn’t very common in most other strobe lights is the ability to project patterns or shapes into the ground or ceiling which really adds another dynamic to using these. 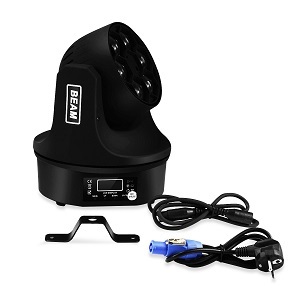 Eshine Tech strobe lights are loaded with features. They come with tons of settings that allow you to control everything including rotating speed, tilt angle, flash speed, the color of the light, the shape or pattern of the light, and much more. They are also designed to synch in with your other sound equipment to help take your musical performance or DJ show to the next level. Because of the many features that Eshine Tech strobe lights have, they do have a bit of a learning curve. You will likely spend a decent amount of time fine-tuning the lights to the correct angle, speed, and timing for your needs. However, once they are properly calibrated and set up then they are essentially effortless to run. Just understand going in that these are not really “plug and play” types of lights and instead require more planning but with a greater reward in the end. There is not beating around the bush: these lights are one of the most expensive in the industry. The sticker shock may be overwhelming to some seeing how it is multiple times higher than many of the other premium-level lights that we have reviewed. The price alone will dilute down the target audience for those but for those who want the very best in light performance and customization then you will have to be willing to pay a high asking price. The Eshine Tech strobe lights really are much more than just a strobe light. Their huge range of modification ability and extremely bright and vivid lights make them much more versatile than a standard strobe light. However, they do have a higher learning curve and if you want to enjoy their performance you will be expected to pay an extremely high asking price for them. Overall, the light performance with most of Eyourlife strobe lights is average at best. The LEDs aren’t overly large and high quality so the light that they do put out is somewhat dull and can even be a little inconsistent in the fitment, meaning you don’t get even light distribution in their multi-LED arrays. Arguably their most popular items, the 12 and 18 LED strobe bar does put out an acceptable power wattage at 60 Watts, but the bulbs just don’t appear to be as bright as some of the other competition out there. It is fine for a smaller room or event but for a larger venue, you will likely want something with a bit more of a kick. Eyourlife does offer some higher-caliber lights that seem to be targeted towards professionals but they do come at a much higher price tag. The typical features you expect are here including various color and flash modes. The light bars mentioned above also have some pretty neat pre-set color configurations that allow for some attractive color patterns to be displayed. As mentioned above, the light they put out isn’t anything amazing but they are pretty entertaining to simply watch. A couple of things that are missing that we wish weren’t are a remote and also a digital display that shows the flashes per second or minute. The Eyourlife strobe lights are very simple to use. There is a huge red power button located on the top of the unit and right next to it is a simple knob that can adjust the speed. There really isn’t much more to it than that. This is great for those who don’t want to have to deal with complex settings or adjustments but might be a bit of a turnoff for those looking for more customization options. The asking price for these units is extremely attractive for a majority of products. You will probably recognize quite a few of the products as they seem to be imported from Asia with a variety of sellers selling them, but one thing that they certainly have figured out is how to sell you a product at a great price. Obviously, this comes with some sacrifices in performance and features, as mentioned above. It is important to note that there are some premium-level products as well but we don’t have much experience with them so can’t say for certain how they perform when compared to similar products. A majority of Eyourlife strobe lights try to compete in the budget-caliber strobe market with their impressive array of strobe light products, varying from the standard single bulb types up to their popular 18-LED bulb examples. The performance isn’t amazing but is enough for smaller applications and the settings are very sparse which is good for someone who wants to keep things simple but might not be a selling point for someone after more. Either way, with the great asking price we can’t be too picky. We would like to check out their higher-priced examples before we make a decision on them as well. Light performance is rather broad here and it really depends on which specific model or product you go with. The LEDs used are of a pretty standard quality so the brightness levels really depend on simply how many bulbs a particular fixture has. Also, since the smaller LEDs consist of a majority of Feifeier strobe lights, you can be a little limited in how you want to display your light. Again, features are heavily dependent on which model you get. 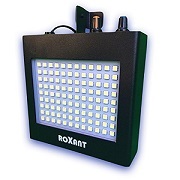 Nearly every light fixture will have the expected features included varying colors and flash timing with some of the higher-end models also having the ability to synch to channels on a control board and they are also able to move in multiple directions and can be programmed to specific paths (such as in the DMX512). Overall, most of their products are simple to use. The more advanced (and expensive) examples will require reading the manual to get the hang of a few features but it shouldn’t take too long before you are up and running and comfortable operating the strobe light. Compared to other import brands, the LED quality and mounting direction are pretty good so you also shouldn’t have to deal with constantly fine-tuning and adjusting bulbs to try to all point in the same direction. The asking prices for Feifeier strobe lights are very competitive on the lower end. Typically, they should fall into the budget range but some of their models targeted at professionals will be much more expensive (but still competitive relative to other calibers of models on the market). The coolest pro of Feifeier strobe lights is simply how varied they are in shape, size, and application. Rarely do you see a company try to dip its hands in some many different baskets at once. While none of the products absolutely blow us away, they are of acceptable quality and performance to be considered given their great price. The light performance is rather disappointing on these products. The bulbs used simply aren’t bright enough. Other budget-minded companies have sort of worked around this but simply increasing the number of bulbs used. While not perfect, it did help to increase overall light output. However, by not having a lot of bulbs and the LEDs used being low-wattage, the result is a strobe light that will struggle to deliver in anything other than a small room or corner. The features are rather limited as well. Other than a couple small tweaks such as altering the flash speed, you are severely limited in what you can do with these strobe lights. For those wanting a more advanced light set up or something that can work better with timed music, you will need to look elsewhere. There are also not a ton of spots to fasten or secure the light so you are going to have to get creative. As mentioned above, you are limited in flexibility both in regards to fine-tuning as well as securing so this by itself adds a lot of unwanted effort to the mix. The only bright point of this is the fact that, due to the lack of settings and tweaks, getting a Forum Novelties strobe light up and running is a very fast and seamless process. Easily the biggest selling point of these products is in their great price. They are among the most affordable strobe lights you can find, but this obviously comes at the cost of some significant sacrifices in both performance and features. Also, build quality is brought into the discussion as there have been several complaints about these products not lasting very long. The Forum Novelties strobe light lineup does one thing well: be very affordable. But in order to achieve this, they have to give up too much in every other department. We recommend saving up a bit more and buying something that will last much longer and perform much better. Due to having such a diverse lineup, light performance varies quite a bit. However, for a given size and type, GBGS can keep up with the very best. The LEDs that they used in their products are of good quality and manage to put out nice, bright light without requiring a ton of power. In terms of wattage, they have small mini LED strobe lights that only amount to a couple of watts and go up to professional-level that have 20 watts or more. The really impressive thing about GBGS strobe lights is how well they balance brightness with their usage of LED bulbs. Some brands will simply try to put as many LEDs on a given product as possible to maximize brightness, which can result in a bulky and expensive mess that still doesn’t perform that well. GBGS seems to have a good understanding of how many and what types of bulbs to use to get the results that they want. Again, features available are across the boards but typically will consist of everything you want in a strobe light. In addition, it appears that most of their products come with handy remotes which we always like to see. Another welcome addition is the inclusion of digital readouts which makes fine-tuning and searching for a specific light frequency much more easier to identify and achieve. We notice a rather linear learning curve in relation to the asking price. In other words, the budget-oriented strobe lights are essentially plug and play and should be up and running in no time. The most expensive and advanced products, however, will require a bit more effort. This more has to do with the fact that they have more minute features rather than not being easy to use and you will run into this conundrum with any product you try. But having a remote and plenty of helpful mounting points makes things every simpler. The asking price, while varying quite a bit, is competitive at every price point. Budget GBGS strobe lights will be a nice price compared to other similar ones on the market the same as their premium strobe lights, while noticeably more expensive, will be competitive relative to other similar products. While they aren’t necessarily the absolute cheapest, the bump you get in performance and features is well worth the slight upcharge. We really like with GBGS strobe lights bring to the table. Not only is their product selection huge and diverse, but they do seem to have a nice grasp of what to include in every price point. In addition, the performance is great and should meet most people’s needs. We definitely encourage checking this brand out the next time you in are the market for a strobe light. 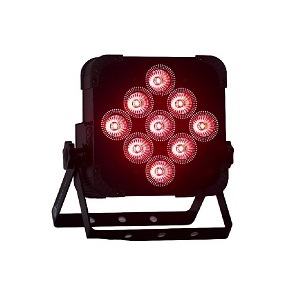 We are really impressed with the Glisteny strobe lights have to offer. While they are typically on the smaller side and take advantage of compact but potent LED bulbs, the light they put out is plenty for most applications. 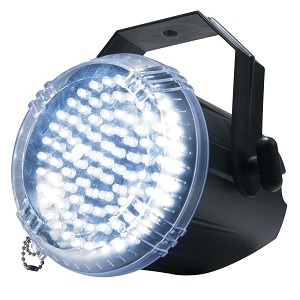 However, those looking for something on a larger scale such as something that can handle an entire venue or large performance hall will want to shop around because Glisteny’s LED bulbs, while packing a decent punch, won’t be able to hold up to the much bigger (and more expensive) professional-level strobe lights that some other brands offer. Features available include things such as voice-activation, settings to adjust flash speed and colors, and swivel heads/bases to point the lights in whatever direction you may need. 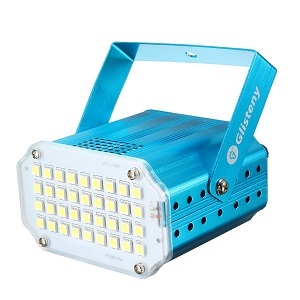 While these seem to be pretty standard for many products, Glisteny strobe lights are able to do it while keeping their products small, compact, and affordable. However, for those after more advanced features that can synch with your soundboard and that allow you to pre-program specific movements you may want to shop elsewhere. We really like how easy it is to use Glisteny strobe lights. The knobs and buttons are easily labeled and anybody should be able to learn to use it within a minute or so. Also, the compact size plays another added role here in that they are very easy to transport and also easy to locate a spot to mount the unit since they don’t take up a lot of space or weigh a significant amount of weight. There are also helpful remotes included in some of the units. Asking prices are very reasonable and should be competitive across the board. Just keep in mind that you are primarily dealing with budget models so asking prices are already rather low to begin with. While not the cheapest you will find, they make up for it with acceptable lighting ability. Glisteny does a good job in competing in the somewhat crowded budget market with their large lineup of strobe lights. They are able to utilize decent-quality LED bulbs to give acceptable light output in a small and easy to handle package. The features we like to see are, for the most part, available on most of their units. The only thing really missing are higher-end units. Being a smaller, budget strobe light, there won’t be as many features as on larger units but the typical things we like to see are here for the most part. Things such as sound-activation, adjustable colors and timing, etc. Probably the most unique feature is the ability to be powered by batteries or a battery pack. This helps to make HeLe strobe lights much more mobile and portable than their electric outlet counterparts. Operation and use are very straightforward and there aren’t any major issues. The biggest chore which won’t be typical on other units is the fact that you will have to replace or recharge the batteries from time to time in order to operate. This is the major con of a battery-powered unit over a standard AC outlet unit but it isn’t too big of an issue. The fact that they are so small and portable means that you should have no problem finding a place to mount the light. Prices are about average. 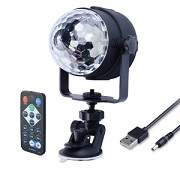 We have noticed a slight upcharge due to the fact that these strobe lights utilize batteries so for someone who isn’t dead-set on having a battery-powered strobe light, the extra cost might be a turn off since you can find something that performs just as well (if not better) for cheaper if you go with a non-battery example. HeLe strobe lights mix things up by offering a nice variety of smaller units, many of which add a layer of mobility by being battery-powered. However, doing this does cost some performance points since the LEDs simply don’t put out as much wattage as many other products on the market. You will also pay slightly more for this convenient feature. Whether or not these unique pros and cons will sway your decision is up to the individual. Ingleby strobe lights come in a variety of white and colored options and also vary greatly in the number of bulbs used. On the smaller end, products like their Mini LED Car Lamp can have a single bulb and this increases up to their rather large 108-bulb setup in the Stage Lighting Strobe. The common theme between most of their products is eerily similar-strength bulbs. The LED performance is acceptable but by no means groundbreaking and the level of brightness is really dependent on simply how many bulbs are used. In other words, their large 108 bulb fixture is rather bright while their single bulb fixture may be a bit on the dull side. Features are somewhat lacking, with most of them being tied to the somewhat archaic-looking double knobs on the back of many of their products. Typically, the knobs will control things such as flash speed and occasionally color choices if it happens to be a multi-color product. There really aren’t much in the way of features beyond that. 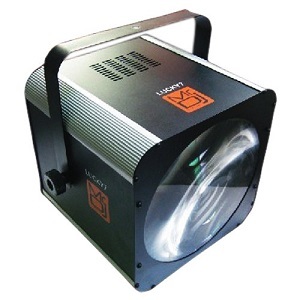 Ingleby strobe lights are relatively user-friendly. The knobs mentioned above, while not the most attractive, are fairly easy to understand and use. The units also are typically on the smaller side which makes the much easier to transport and mount. Speaking of mounting, the mount points and flexibility in manipulating the fixture in various directions is about average. Prices are competitive and fall somewhere in the budget to mid-range tier. We have seen many of these seemingly exact products sold by other companies for cheaper so we aren’t sure why they are a bit more expensive here, but the price different is rather negligible and shouldn’t impact someone’s purchase decision. Ingleby strobe lights take a very standard and proven approach with the products, opting for simple and low-cost strobe lights over more expensive and higher performing examples. We don’t really see anything groundbreaking with this brand and other brands has done the same and even for a bit cheaper. That being said, all of Ingleby’s strobe lights perform as intended so if you end up going with one you shouldn’t be disappointed. Overall we are somewhat disappointed with the light output that we get with these models. 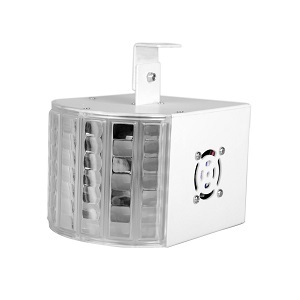 Wattage is very low, typically being only around 3 to 5 watts depending on the unit. Even the most powerful Kapata strobe light, the 36 LED stage light, only comes in at 10 Watts. What this means is that the LED bulbs used are going to be rather dim and may struggle properly lighting up a room if it is large. It also means that those after more consistent lighting may be turned off since the small LEDs can sometimes result in “spotty” light output. There aren’t a ton of features to work with here. As usual, you do get some flexibility with altering light speed but beyond there just isn’t a lot of customization possible. You will not be able to synch these strobe lights in with any of your other equipment other than manually. In addition, the mounting possibilities are limited, with an overhead bar being the only way. While the products themselves are very simple and easy to operate, you may struggle some with properly aligning or standing up the product. As mentioned above, you are really limited in your mounting options and for those who don’t want to deal with drilling or mounting, you have to rely on a rather flimsy base that consists of thin legs on most of their products. 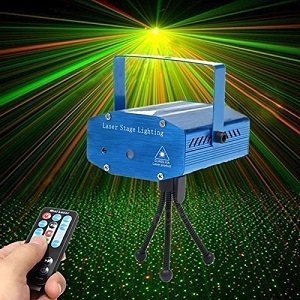 We have noticed that it is very easy to accidentally knock over the strobe light with an even slight impact which may make these products very frustrating to use around an active dance floor or places where people may be close by. The prices for Kapata strobe lights are definitely reasonable, but you really do have to make a lot of sacrifices to reach this point. While a great price, the lack of features, performance, and frustration you may have trying to properly mount or stand these strobes makes this a no-go for us. There are much better units out there and even if you have to spend a bit extra, it is well worth it. One thing that we have noticed with most, if not all, of Kingsgo strobe lights is that they prefer offering products that focus on a diverse range of colors rather than simple brightness. In addition, most of their strobe lights display light particles rather than a solid light that is similar to most standard strobe lights. This can be a good thing or a bad thing, depending on what you are after. Light power is about average with the low end being around 3 watts and the higher end going up to 18 watts. While the 18 watts definitely isn’t anything to scoff at, it is dividing into over 200 individual beams of LED so don’t expect individual beams to be overly impressive on their own. 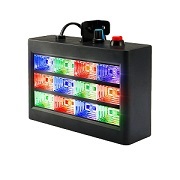 As mentioned above, Kingsgo strobe lights are all about their different color output options. If you are after a setting and don’t want to stick with the standard white or yellow light effect, then you will be happy to see that Kingsgo offers up plenty of other options. There are also a few different pre-built flash modes as well as the ability to manually set some options for a bit more of flexibility. While you won’t get the high levels of movement or audio synchronization options of more expensive brands, the features here are acceptable considering the price range. The products are fairly straight forward and what knobs and dials that exist are clearly displayed and easy to get the hang of. We also like that the 18W Stage Light comes with a digital display that shows the flash rate, making it much easier to shoot for a specific value. Mount points are a bit lacking, however, and for those who would simply prefer to set the unit on a table or the ground may be disappointed with the lack of legs on some products. Asking prices, while not the absolute cheapest, are still plenty competitive and should be within everyone’s range. The features that you get and the performance is plenty fine for the cost. Kingsgo strobe lights take a very colorful approach and do so while remaining competitive in asking price. The individual LED performance is about average and the bulbs are a little on the weak side, but together there are enough to light up smaller to medium-sized rooms. The learning curve is very small and anybody can pick one of these up and get to use it in no time. A fine example that we have no major complaints about. The light performance of Laluce Natz strobe lights is fantastic. There is plenty of power going through their rather large LED bulbs. Typical power outputs range from 12 watts up to nearly 30 watts which definitely puts these products towards the top of the spectrum in regards to raw performance. Rather than overwhelm the user with tons of small, weak LED bulbs, Laluce Natz strobe lights instead prefer to use a smaller number of higher-powered bulbs, ranging from 9 to 18 bulbs. This allows for more powerful and intense light elements than other brands. There are plenty of features available to help make your next party or get together a success. There are quite a few color choices that can be easily changed to suit your preference. In addition, there is a nice range of beam angles which helps to fully encompass even a larger room. The specific flash speed is displayed with a LED display panel and you can also control the unit through auto-run, sound activated, and even master-slave choices. Finally, there is a wireless battery on some of the units to help for mobility and transport. There is a bit of a learning curve due to all of the features on Laluce Natz strobe lights, but the helpful LED display and easy-to-follow instructions helps to minimize the down time. The units are also much larger than many other strobe lights so you need to take that into consideration which trying to plan for storage and mounting. Speaking of mounting, these products are really designed to be mounted overhead or in the corner rather than simply sat on a table so it is important to consider that as well. While that means that it will be a bit more of a burdensome process, you will find that a vast majority of professional level strobe lights are like that. Unfortunately, asking prices on this caliber of strobe light isn’t cheap and will be among some of the more expensive units on the market. However, the increase in performance and features makes it more than justified. Overall, Laluce Natz really wows us with their impressive, but small, lineup for strobe lights. The decision to go with fewer, more powerful LED bulbs definitely helps to make them stand out and allows them to handle larger, more challenging rooms. There are also enough features for all but the most picky of DJs or performers and most should have no problem incorporating them into their next routine. The asking prices are up there but that is simply the cost of admission with this level of strobe light and we feel it is more than worth it. The light performance of Lilyminiso strobe lights is heavily dictated on which particular light you get. Seeing how they stick to tried and true products, nothing that you see here will be groundbreaking or surprising. In other words, their lower-end products can have some performance issues while their higher-end are able to perform better due to increased wattage, larger LED bulbs, or a combination of the two. One point to note is that Lilyminiso seems to have more spotlight-type strobe lights than many similar brands. We aren’t sure if this was intentional or simply a coincidence. Again, features really depend on the model you are looking at. Seeing how they do have several higher-end examples you will get to enjoy more features. This comes in the form of things such as programmable flash speeds, wireless remotes, mounting legs, and moving/rotating bases. 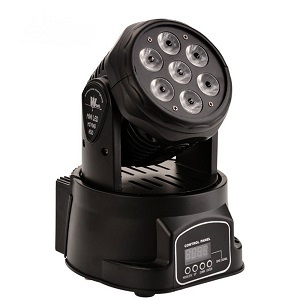 The pinnacle of features probably comes in the Lilyminiso 3 in 1 20W Stage Light which has the ability to points its light in every direction as well as has more advanced program features that allow it to sync to your music or show. Nearly all of these products have average to slightly above average effort required. The only reason we decided to bump it up to being a little above average in effort is due to the fact that several will be higher-end models that may require some further calibration to get where you want it. Also, common to premium examples, many are designed to be mounted rather than simply placed on a table or flat surface so this will take some extra initial effort on your part. Asking prices are quite varied but tend to be mostly competitive for a given type of strobe light. In other words, their budget offerings should be around what other brands are selling theirs for while their premium examples, while noticeably more expensive, still come at a price point that makes them similar to other types of that caliber of strobe light you are after. Lilyminiso has a nice variety of strobe lights that span every level of price point. Similarly, their features and light performance are also rather vast so you should be able to find something that meets your needs. Beyond this, there really isn’t anything that makes them stand out among everyone else as you will likely recognize most of their products or something very similar being sold elsewhere. Light performance is average at best. The LED bulbs used are quite small and don’t put out a lot of power individually. Litake hopes that by combining many of these bulbs it will result in acceptable lighting conditions, but the result can still be somewhat hit or miss since the light output is somewhat patchy and inconsistent. The primary selling point is the variety of color schemes that you can create that range from oranges, purples, blues, greens, and more. Most of the usual features are here but not much more than that. As mentioned above, the ability to change colors is quite nice and Litake strobe lights actually stand out ahead of quite a bit of their similar competition in that regard. But beyond that, we have found that there aren’t quite as many choices when it comes to varying light speeds or controlling it. If you are after a very precise flash rate you may be out of luck. These units are easy to use outside of sometimes having to work harder than you would like to find that perfect flash rate. They are also quite lightweight so they are easy to move and find a place to put them. Our biggest complaint is with the mounting points. This is a common issue with smaller, budget-oriented strobe lights and we wish that Litake and other brands like them would design a product with more versatile mounting positions. Asking prices are very reasonable across the board. While they are not the absolute cheapest you will find, they fall well into the budget category and should be within most people’s pocket books. Performance and features are about on par, given the asking price. Litake strobe lights don’t really do anything that makes them stand out and rather sticks to a proven method and product lineup. The one bright spot is in their somewhat versatile light range but beyond that everything else is pretty average. At this price range we can’t be too picky and if you happen to pick up a Litake strobe light you should be content. What we are really impressed with is how powerful of bulbs Lixada uses on many of their products. While the shape and design may resemble a lot of other strobe lights that we have reviewed, the power output seems to be higher in many cases. Many of their products will have 50 or more watts, with the highest end examples (such as the DMX-512 4 in 1 Lighting Strobe) having an extremely impressive 100 watts. What this means is that you will enjoy extremely intense and vivid light output without having to include dozens upon dozens of weak bulbs to achieve it. Many of Lixada’s strobe lights are intended for professionals or avid hobbyists who are after something with a bit more flexibility and performance than what you will find with a lower-end unit. Going along with this, you will enjoy many great features that really open up the capabilities and customization options. You will have full control over how the light displays, be able to modify the head direction and speeds and have much more freedom in how you sync up the strobe lights with what music or scene you are trying to perform. Multiple channels are a norm, with the highest end units having 40 or more channels to configure. With all of the great features listed above and due to the rather large size of many Lixada strobe lights, the learning curve can be rather steep. Understanding and fine-tuning all of those specifications can be somewhat time-consuming and someone looking for a simple plug and play setup might be overwhelmed. Of course, there are some small and simpler Lixada strobe lights for those who want to keep things simple but most of their units will have a higher learning curve than average. Asking prices for these products can be steep and are among the more expensive strobe lights available. You definitely get a lot for your money, however, thanks to the great performance and loads of features. But for some on a tighter budget, the sticker shock might be significant. We really like what Lixada brings to the table in their somewhat small but capable lineup of strobe lights. Power output is fantastic and among some of the past in the industry and the flexibility that they give to perfect how your lights act and perform is among the best in the industry. There is a high learning curve and the prices can be quite high, but for those after some of the best and willing to pay for it, we definitely encourage you to give Lixada strobe lights a close look. If you are looking for the highest levels of bulb output then look no further. Mad Owl has a huge array of high-powered strobe lights that are among the top in the industry in terms of total wattage. Many of their strobe lights have 100 watts or more of bulb power, something that many other companies don’t have a single example of. In addition, there is a nice variety of light setups ranging from the typical rows of smaller LED bulbs up to smaller batches of larger, more powerful bulbs and even a few examples of single spotlights that put out immense light levels. There are also plenty of color and shape options to meet just about everybody’s needs. 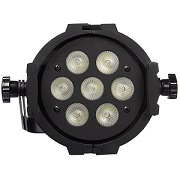 Mad Owl strobe lights are designed for professional and large-scale settings and their lineup of available features reflects this. Most of their products come with a host of pre-set settings that give you plenty of freedom in how you want the lights to act. And for those who are after an even more unique display, you can calibrate the lenses and the swiveling heads to go in whichever direction you would like and also closely monitor flash rates as well. Figuring out a specific rate is also much easier thanks to the LED display that is included in many products. 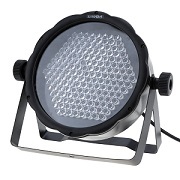 As you might expect, there is a bit of a learning curve with these high-caliber strobe lights. Due to the lineup of features, if you want to really un-tap the true potential of Mad Owl strobe lights it will take a bit of playing around with. Also, they are typically quite large in size relative to other models so storing and mounting them might take a bit more planning. However, the extra effort is well worth it once you see the end result. Asking prices for Mad Owl strobe lights are among the highest in the industry, with many being at the very peak of prices. The one minor gripe that we have with Mad Owl is that they don’t have a lot of options for people on a budget and looking for smaller-scale solutions. However, there are plenty of other brands out there that cater to this audience so it won’t be difficult to find other choices for those people. Mad Owl strobe lights do an excellent job of giving someone who is after the very best in light assemblies plenty of options. There is a nice variety of solutions with different bulbs sizes and quantities but ample supply of power across the board. Loads of features and built-in effects should meet the needs of even the pickiest performer or party planner but this does come it a high asking price and relatively high learning curve. Models: 8x12w White LED Beam Spider Light, 8x3W LED Beam Spider Light, 8x12w 4in1 LED Beam Spider Light, 8x3w Sector Beam Light, 20w SMD LED Strobe Light, 48Pcs 5050 Full Color LED Strobe Light, 32x5mm White LED Mini Strobe, 12x12w Full Color LED Moving Beam Ball Light, 50w LED SMD Strobe, 5050 Full Color LED Grill Strobe Light, and more. Thanks to high wattage power sources, the bulbs put out great light and should be able to handle even large rooms with relative ease. 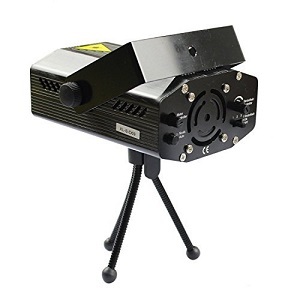 Power ranges start at the small but potent 10W moving head beam and go up to the enormous 18x15W amber unit that has over 200W of potential power. There are enough color choices for many needs but we have found that there aren’t quite as many options as there are with other similarly-priced units on the market. Despite the high price tag, there aren’t quite as many features as we would like to see with these units. 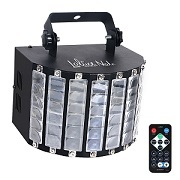 While there are a few different preset features and you do have acceptable flexibility over the light flashing, there aren’t tons of colors as mentioned above and many of MFL strobe lights don’t have the capability of moving in all 3 directions like a lot of the premium-priced fixture on the market are capable of. This could limit someone who is wanting a particular effect that requires this level of flexibility. Getting one of these products up and running is pretty straightforward and this partially has to do with the somewhat lacking feature lineup. Also sorely lacking is LED displays that we have come to expect on the more expensive units as this helps to know exactly the flashes per second that you are currently implementing. Mounting points are about average and we are glad that these strobe lights have legs that make the capable of being placed on a surface in addition to being mounted on a ceiling or wall. Since these units are targeted at the higher end of the spectrum, the asking prices follow suit. 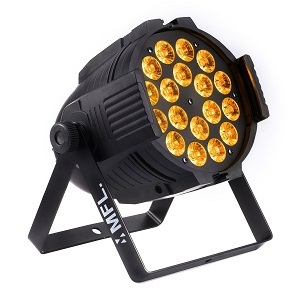 While there are a few more budget-minded options, most of MFL strobe lights are relatively high in asking price. MFL strobe lights have enough variety and the light performance is great thanks to very impressive power sources but there are some essential features and user-friendly capabilities that are missing from a product with this high of a price point. For those after simple effects and aren’t overly picky about colors you may be content but for those wanting a very customized look and are willing to pay, you may be better off looking elsewhere. The power output of each Missyee strobe light is 18 watts which is plenty of power for many applications. This power is distributed between either 18 or 36 count LED bulbs. We really can’t tell that much of a difference in the brightness between each type since both have similar total power. Rather, the display by the 36 count strobe light is a little less patchy and also capable of showing off more impressive light patterns due to having more light specks to work with. There are enough color schemes to make most people happy but you are limited in that the light is stuck pointing in one direction. 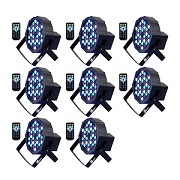 Each strobe light unit comes with its own individual remote control. If you purchase the 8 pack this means that you are going to have to keep up with a lot of remotes which is a bit of an overkill in our opinion. But the fact that they come with remotes is a nice touch. There is also a helpful LED display that clearly shows the flash rate which we always like, as well as a mic right next to his screen. Beyond this, there aren’t as many features as we would have liked to see. There is some flexibility when it comes to changing colors and flash rates but, as mentioned above, you are stuck pointing the light in a single direction since it doesn’t have a motorized head. The remotes, while plentiful, aren’t very powerful and you will have to be within two or three feet for them to work with the unit. Also, as mentioned above, the lights only point in one direction so you will have to deal with aligning them up in the perfect location and if you want to have a more dynamic light setting you may be frustrated with what it has to offer. Also, there is really only one way to mount them and that is through the legs. That being said, we are glad that these strobe lights are capable of being stood up or hung from the ceiling. The price for the strobe lights is average to slightly above-average. The light performance you get for this price point is more than acceptable but the features are somewhat lacking. The other thing to consider is that you have to buy these and sets of 8 which can really tally up when it comes to the final asking price. Missyee strobe lights take a somewhat unique approach in that they seem to be designed to be used in sets of 8. This may partially be because they don’t rotate or perhaps because it simply allows Missyee to sell more units with each transaction. We must admit that when properly set up, the combination of the 8 strobe lights does give off an impressive display but that comes at the cost of a high asking price as well as quite a bit of an effort. If you are willing to point in that effort and open your wallet then this product is good but many will want something simpler and more versatile. Due to the fact that there’s so much wattage in Monoprice strobe lights, you can expect very good light performance on nearly all of their units. Their most popular designs will have anywhere from 7 to 18 watts per bulb and when you consider that nearly all of their strobe lights have a dozen or more bulbs this can add up to a pretty impressive power output. This makes their products great for larger rooms or rooms that might be partially lit from outside light. Our main complaint is that most of their products do not have swiveling heads which mean that you will have to point them in one direction. This might mean that you have to buy more than one product to fully encompass a room to get the effect that you are after. Despite the gobs of power that these products have they are rather lacking in regards to features. Outside of a LED display on the back, there aren’t very many Creature Comforts. While there are a few preset settings that can change color and flash speed you are sort of on your own beyond that. As mentioned above, the fact that the head cannot rotate also means that you will not have quite the freedom that you do with units that have motorized heads. Since the heads do not rotate you will spend more time pointing the projector in the perfect direction for your needs. There is plenty of light output as we discussed above, but it points out almost like a spotlight rather than a strobe light and this means that it will take more effort to get the desired effect in some cases. Also, Monoprice strobe lights are somewhat finicky when it comes to mounting as you are not only limited by the places you can easily mount them, but their somewhat long shape means that they aren’t optimal for standing up on a table or counter, either. The decision to go with high-quality, powerful bulbs definitely shows here as the asking price for many of Monoprice’s strobe lights are quite high. We can’t deny that the light performance is comparable to the best out there, but there are some sacrifices in other areas. From a simple power standpoint, Monoprice strobe lights are some of the best in the business. The approach of using fewer, more powerful bulbs allows for them to achieve spotlight like effects that few other product can rival. However, if you are after something other than a spotlight or really value the ability to have plenty of freedom when it comes to modifying light trajectory then you may be underwhelmed here. Due to the sheer size of products to choose from, light performance will vary heavily. On the lower end, Mr. DJ offers strobe lights with single-digit wattage and that typically utilize a number of small, efficient LEDs. This can give the particle effect that many people are after as part of a complete light setup. 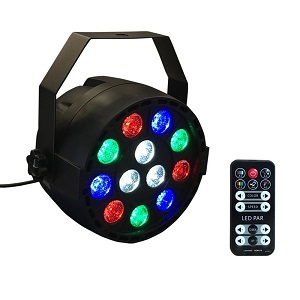 On the higher end, you can choose from a variety of Mr. DJ strobe lights that have double and even triple digit power output and that is typically pushed through larger, more powerful LED bulbs that are in smaller quantities. These type of fixtures can be great for the large and impactful strobe effects that can light up an entire large room. No matter which type of product you go with, you will get to enjoy the great performance for the size and plenty of options in color and flash schemes. There are loads of features with Mr. DJ strobe lights, particularly in the higher end models. As expected, you have full flexibility when it comes to how you control the light speed and you typically have plenty of color options as well. But beyond this, you can step your customization up a notch thanks to custom shapes and patterns that can be programmed. 3-way moving heads to cover a wider area, a multitude of pre-built channels that can sync into just about any audio equipment that you can think of, LED screens for easy identification, and even in some cases, the units are waterproof! You really have everything at your fingertips that you would need to get a strobe light show exactly how you want it. Typical of more advanced strobe lights, there is a bit of a learning curve simply due to how many options and features there are. However, Mr. DJ presents them in a way that is as easy to digest and understand as possible. Knobs and dials are clearly labeled and the inclusion of the LED screen mentioned above helps to easily identify specific parameters. There are usually an ample number of mount points and built-in stands which are good because quite a few of Mr. DJ strobe lights are quite large. Due to the quality product and impressive experience that Mr. DJ has with strobe lights, the asking prices definitely aren’t the cheapest. This is particularly noticeable on their premium offerings which can be among some of the most expensive you will find. However, for what you are getting we feel that it is well worth the asking price. We are really impressed with the huge and diverse lineup that Mr. DJ strobe lights bring to the table. No matter what you are after, Mr. DJ likely has a product that fits your needs and does so while offering great performance and loads of features. The price is a bit higher than you may pay elsewhere but if you can afford it you will get a product that should last and meet even the pickiest person’s demands for a long period of time. Thanks to the ample power supplies that power these units, you can expect very good light performance. One important thing to note is that most of OPPSK strobe lights use UV LED bulbs. Or commonly referred to “black light” bulbs. However, don’t confuse these products as a standard black light bulb. While they will make UV paints and iridescent colors pop out, there is simply too much ambient light that the bulbs produce to be considered a true black light. Rather, it is a sort of hybrid that combines the benefits of a traditional black light with the added brightness of non-UV lights. To some, this may be exactly what they are looking for. To others, this won’t be and you may want to shop other brands for more traditional examples of strobe lights. There are plenty of features that allow you to vary the flash patterns and sound channels. However, you are a bit more limited beyond that. Obviously, with OPPSK’s UV strobe lights you will be limited to the single deep purple color. In addition, you don’t have a lot of the flexibility in where you point the light as it basically points in the direction that you orient the lenses. The lack of moving head or base means that this will be a static display that is more intended to light up a room in UV light rather than create moving particles or features. The products themselves are pretty straightforward to use. One of the benefits of OPPSK strobe lights is that since they don’t have a ton of features or light modes, setting it up and being ready to go don’t take any time at all. The only issue we have is that it really seems that the light enclosures are designed to be mounted rather than placed on a table due to the bulky overhanging metal mount. Because of this, you will have to spend more time finding a place and actually mounting it vs. simply laying it somewhere. Asking prices for OPPSK strobe lights are somewhat high. 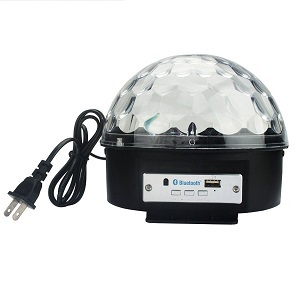 However, they meet a niche in that they offer LED strobe lights that utilize UV rays. For those after this specific thing or wanting that very particular look, you will have to be willing to pay a bit extra since it is such a rare product. However, you are getting a well-performing product either way. We always like to see companies think outside of the box and OPPSK does just that with their small lineup up primarily UV strobe lights. The power output is extremely impressive and may even be too bright for those who are after a traditional blacklight look. The features you would expect out of most blacklights are there but not much beyond that. Asking prices are somewhat high but for those after this unique product then you should be content paying for it. For everyone else who doesn’t want to spend that much or that are after a traditional LED strobe light, you may want to shop around. The light performance of Rasha Professional strobe lights is, without a doubt, unparalleled with just about anything else out there. The power output is simply astronomical, with many of their products have several hundred watts of total power. All of this power is delivered into a plethora of different light configurations, ranging from products with 4 or less extremely large LEDs to examples that have larger arrays of slightly smaller (albeit still very powerful) LEDs in rows of various shapes and sizes. In addition, the products are large enough so that they can cover a very large area, even in the products that don’t have moving heads. Beyond this, you have dozens and sometimes hundreds of different colors and color patterns to choose from to find the perfect look for your needs. Every feature you can think of is here plus plenty you never even know existed! There is simply so much freedom and flexibility over the individual parameters in Rasha Professional strobe lights that you will be able to come up with countless variations. All of their products come with handy remote controls, stand-alone trigger options, control panels with nice LED displays, and plenty of sound-activated features. In addition, they have plenty of channels so sync into your music and help make the timing of your light just right. There is a bit of a learning curve to many of these products simply because of how many features there really are. When messing around with all of the channel options, programmable settings, etc. you may be a bit overwhelmed. However, Rasha Professional does an acceptable job of combining all of these things into the unit in a way that is as easy to understand and learn as possible. The inclusion of the LED display and a great remote is also very helpful. Another thing to note is that many of these products are rather large and aren’t really intended to simply be placed on a table. Rather, they are better-suited to be mounted so consider this when purchasing. However, many of their units are wireless with significantly reduces assembly headaches as you don’t have to worry about stringing wires. There really isn’t any way around it: Rasha Professional strobe lights are extremely expensive. In fact, many of their lights will be among the most expensive you will find. However, for those willing to pay the high asking price you will enjoy a product with enormous power potential and enough features to meet even the most demanding professional’s needs. We were blown away with the impressive selection of strobe lights that Rasha Professional brings to the table. These products are strong enough to be able to handle just about anything you can throw at them, from a small house party to a huge performance in a concert hall. Not only is the power levels great but you have more features than you will know what to do with. Combine this with the huge product catalog and you are sure to find the perfect light to meet your needs. The only major con is that these units are extremely expensive but if you want the very best you sometimes have to be expected to pay handsomely for it. The light performance on the products that Roxant sells is actually not bad for the price or the size. This partially explains why the strobe lights they do offer are some of the most popular on many online retailers. One of their best-selling units, the Roxant Pulse 108, has an acceptable 30 watts of power output, while their smaller units have a decent amount for their size as well. One thing to note about most Roxant strobe lights is that they approach their light output by using quite a few small, individually weak LED bulbs instead of a few higher powered ones. This means that light particles will be more prevalent which is a good thing or a bad thing depending on who you ask. Most of the “usual” features are here, including alternating strobe speeds and a few fundamental channel selections. However, you can’t change colors on most Roxant strobe lights. In addition, the helpful LED screen that we like to see that helps with identifying flash speed is nowhere to be seen. There are basically two knobs on the top or back of the units that you use to control all of the features and we wish there was more guidance than this. Also, the mount points are sort of odd which and limited (we will discuss this more in the Ease of Use section below). Being a simple product with nothing more than a couple of knobs, figuring out how to operate a Roxant strobe light is a pretty stress-free and quick endeavor. However, as mentioned above, you are really limited in your mount points. This isn’t always a bad thing as some products are intended to be used standing up but in this case there really aren’t established legs either. In other words, finding a proper and well-supported position for these can be more work than you would like. Also, there is not moving heads so you will have to make sure that the bulbs point in the direction that you want them to go and nowhere else. The asking prices here aren’t bad but they certainly aren’t the cheapest, either. While the strobe lights aren’t bad, we have seen eerily similar designs and power levels on other products and they come in at a lower asking price. We wonder if Roxant’s high rating on many online retailers has prompted them to increase their asking price some. Roxant strobe lights offer up a few selections of popular, well-established product designs that you have likely seen elsewhere. The units perform fine but they are somewhat lacking in the feature department. In addition, the asking price is a bit higher than some other places. While these products aren’t bad, you can find something similar for a bit less via other companies. Solmore strobe lights are geared more towards the casual user or someone who needs a product that can handle a small room. In other words, the demands are not that high. Because of this, most of their units are relatively weak and don’t have a lot of wattage to power them. In addition, unlike many other brands, Solmore doesn’t simply put on dozens upon dozens of small LEDs in hopes that the combined light will result in a powerful product. They stick to small, simple designs with only a few low-power LEDs. For the application hey are intended for they work fine but don’t expect these products to handle a large room or concert hall. Features are about par for budget-minded strobe lights. You will have some flexibility over light speed as well as the ability to change a few different colors. Also, due to the small size, many of their lights have both above-head mounting brackets as well as legs to stand it on a table or counter. But beyond that, options are rather limited. Just about all of their products are static and do not have moving heads so you will simply have to point it in the direction you want the light to shine. In addition, more advanced features such as impressive ranges of channels to sync to your audio are nowhere to be seen. Due to the sheer simplicity, these products are a breeze to understand and use. Most are controlled by simple twist dials that anybody could pick up and figure out. And the fact that there aren’t tons of parameters and features to manipulate means that you won’t get overwhelmed with the details. Also, as mentioned above, mounting and/or placing on a table is very streamlined. Finally, several of their products also come with remotes which we always welcome. The asking prices for Solmore strobe lights are very reasonable. They aren’t loaded with features and the power output is nothing incredible, but they do offer a functional and reliable product for a very reasonable price. Solmore takes a very safe route in their strobe light offerings. Many, if not all, of the products they sell are based on popular designs you have likely seen before. Their applications are somewhat limited in that they may struggle with anything over a large room but if you put them in their intended environment they work fine. The ease of use and low cost makes these an acceptable solution for simple applications or for kid’s playrooms. For the size, these strobe lights are surprisingly potent. The light beams they shoot out are relatively bright and you have some flexibility in the color. The pattern they go in is someone limited, however, so if you are looking for something that will take your breath away with the random light particles moving in every which direction, you may be a bit underwhelmed. Also, there aren’t a ton of LED bulbs in the fixture so the number of beams that you see is also limited so if you are wanting something with a ton of beams or a more focused solid light then you might want to shop around elsewhere. 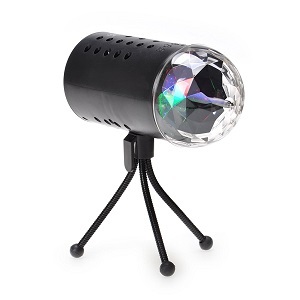 The features are about what you would expect for a budget strobe light. You have some manipulation of light speed and can also sync it to noise. All of the features are accessed via the handy included remote which is actually quite nice given the asking price. We do wish there were more mounting options, however. Several of Spriak’s strobe lights are really intended to be mounted only by the rotating mounting plate and attempting to stand it up on this bracket after placing on a table results in a somewhat flimsy support. These products are incredibly simple to use. All of the buttons are laid out and clearly labeled on the remote and fidgeting around with it for a few minutes should result in having a nice overall understanding of its operation. It is also quite small and lightweight which makes it a breeze to transport, store, and find a place to put it during operation. As mentioned above, the light patterns are somewhat lacking and don’t spread over as large of a radius as some would hope so you might have to adjust it a bit more than you would like so that it covers the targeted area. 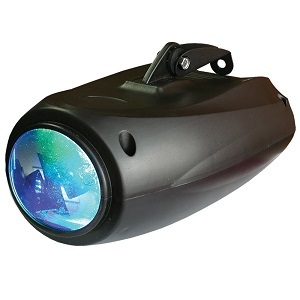 Prices for Spriak strobe lights are very reasonable. While they aren’t the absolute cheapest you will come across, they find a happy medium between price, quality, and performance and are an acceptable purchase for those looking for a simple strobe light for a small room. The selection is somewhat lacking, but what Spriak does offer is of acceptable quality and decent performance given the size and price. The core features are there (but not much more) and it is simple enough to use so that anybody can pick it up and start having some fun. Overall, this is a fine purchase for someone on a budget and wanting a strobe light for a small room but for higher performing examples you will need to shop elsewhere. When it comes to light performance it’s really hard to pinpoint a specific way to rate the strobe lights. This is because there are simply so many different products and the power output covers a huge range. You have small and weak single bulb LEDs and single bulb incandescent light bulbs and this goes all the way up to huge arrays that have hundreds of watts of power. Overall, however, you will tend to find that the power is well suited for its application. That being said while the power output is pretty good there aren’t a lot of variables and customization choices when it comes to how you display your light on most of Starlight’s products. As mentioned above it seems like Starlight takes a very simple approach that prioritizes light performance over all else. Because of this, there aren’t as many features as you might see another typical strobe lights on the market. For instance, you are somewhat limited in how much you can vary the lightspeed and light trajectory on many of their products. Many simply point in one direction and shoot out a bright beam. This can be nice in certain situations but for those that are looking for more of a festive environment and want to have alternating light beams, you may be a bit underwhelmed. In addition, things such as led displays and multiple ways to mount or support the fixture are sorely missed. Finally, there is little in regards to syncing up with your music outside of simple sound recognition. We must admit that Starlight’s simple approach to strobe lights means that their products are very simple to use. Any adjustable components are controlled by simple dials or buttons that anybody can understand in a matter of minutes. The only major issue, which we outlined above, is that finding a good place to mount or stand their product is a bit frustrating, especially their larger product products that can be quite heavy. The going price for many Starlight strobe lights is mid-range to premium-range. When you look at just brightness this is actually a good deal considering how bright a lot of their products are. However, you do take a step back when it comes to features and usability as you may be disappointed with what they have to offer compared to other similarly priced items on the market. We do appreciate Starlight’s enormous selection of strobe lights and how they have made sure that the performance is good for any setting. 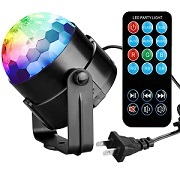 We do wish there were some more features especially when it comes to interacting with music as this is what oftentimes strobe lights are used for. While the price isn’t outlandish, it is high enough to justify a few more features to make this a home run purchase. But you will likely find one or several products that meet your very specific needs. 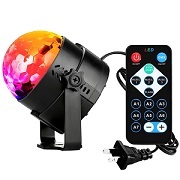 Models: Color-Changing LED Strobe Light, Strobe Light 108 LEDs, Outdoor Ripple Effect Projector, 7 Color Remote RGB Ripple Effect, PAR Multi-Color LED Light, Magic Ball Light Show, 16 Color Remote RGB LED Water Wave, Mini Magic Ball, 1500 Watt Lighting Strobe Light, and much more. The light performance here is average at best. The bulbs that are used are your typical small relatively weak LED bulbs but when combined in rows or bunches put out acceptable light for small rooms. We do like how many different colors you can vary the bulbs by which gives a nice variety depending on which product you get. However, for those that are after a single encompassing strobe light for a larger room, you may want to go with something more powerful and that has larger LED bulbs. Most of the products that Sumger makes are on the smaller side and coincidentally they are only average at best with features. 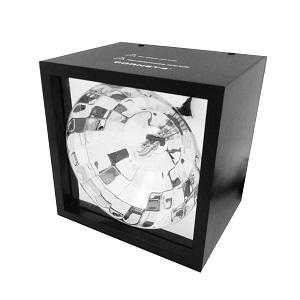 However, there are a few more expensive models that have the ability to move their projection heads and project light in three dimensions. They also have a bit more to offer in regards to syncing with music as well as more customizable channels that ca sync to your soundboard. We also like that many of the budget products come with remotes. The small stature of the strobe lights definitely pays off here. They’re easy to move and could fit just about anywhere that you need to mount them. And speaking of mounting, you are kind of limited to doing that as some Sumger strobe lights literally don’t have supports to allow them to be stood on tables or countertops. Due to the relative Simplicity, they are also very easy to understand and use. And the fact that they come with remotes on most products is a nice touch as well and reduces the physical strain you will have to undergo to operate or change settings on them. Similar to many other brands with a wide range of products the asking price really varies depending on the caliber of strobe light you’re looking at. On the low end, they are very affordable and are among some of the cheaper products you can find and on the higher end, while noticeably more expensive, they are still well within reason given what you’re buying. Sumger does an approach that we have seen many times by offering various strobe lights that are likely imported. The price point is fine and the performance is acceptable but for those after a more powerful unit that can handle a large concert hall or other similar challenges, you may have to go with something more specialized and also more expensive. You may be a bit disappointed with the light performance you get with these strobe lights. The LED’s are efficient but simply don’t put out enough light for many people’s likings or needs. Even in examples where there are dozens of LEDs in row and columns, the fact that they are just so weak means you will be limited in what you can do with them. This is also reflected in the relatively low wattage that most of Superdream’s products have. Specifically, you’re only looking at single digits double-digit wattage in most products. Another area that is obviously affected by the low price points is when it comes to the features on the strobe lights. Not much more than the bare essentials are included. Things such as being able to change the flash speed and a couple of other fundamental settings are there but not much beyond that. You are out of luck if you want to set up a custom timing flash with your music. Also, none of the strobe lights can even move as the heads are static. So if you’re after something that can have dynamic effects you will need to shop elsewhere. 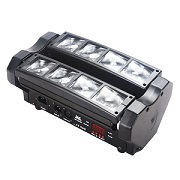 Due to the low number of features, operating Superdream strobe lights as a breeze. Nearly every setting is controlled by either a simple dial or button so you will be able to set it to your desired setting very quickly. There are lacking areas, however. For instance, several of their products have to be mounted as opposed to set on a table or counter top due to missing any sort of leg or foot at its base. In addition, many are missing the vital remote that we like to see. And, as mentioned above, you are limited to the light only projecting in the area that you set the face to point towards. Easily the biggest selling point of these products is their great price. The low power output, lack of settings, and simple features means that they are extremely affordable and just about anybody will be able to fit it into their budget. Superdream strobe lights take a simple and cost-effective approach to their products. They have an acceptable range of basic strobe lights that lack in most categories but excel in their simplicity and low-cost. These might be acceptable for decorating a kid’s room or for a small house party or get-together but for anything larger than that you will need to get something more powerful and better suited. The light performance is acceptable given the price. Most of Supertech strobe lights have rows or columns of small LED bulbs that individually are somewhat dim but combined produce enough power for small to medium scale applications. These LEDs also have the ability to change colors and most products which give you a bit of flexibility and how you want to set up your light performance. In regards to wattage, you are going to find that most of their units have single digits with a few having slightly higher and dipping into the low double-digits. The big feature that Supertech seems to be proud of is their sound activation settings. We have found that most products have this feature but according to others, the feature on Supertech strobe lights performs quite well. This is helpful for those that want to have the lights change relative to their sound system or performance. As mentioned above, you also can enjoy being able to change the color to many different colors. One big aspect missing is moving or rotating heads so you are stuck with the light pointing in one area. Due to the static configuration, you might have to fiddle with orienting the projection to go in the area that you want it to. Many of Supertech strobe lights also are designed to be mounted on the ceiling or wall which adds an extra layer to the initial effort and set up. When it is properly mounted the settings are simple enough that most people will be able to figure them out. The impact on your pocketbook is very small here. Supertech has become very popular in the online retail world for their strobe lights and we feel a big part of this is due to their great price. However, you need to go in understanding that at this price point you’re not going to get a powerful product. Rather you’re going to get something that functions as it is supposed to and not much beyond that. 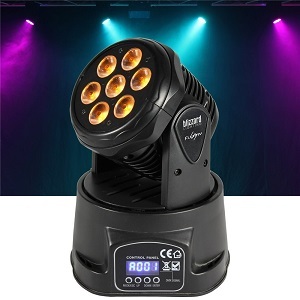 Supertech strobe lights enjoy a great price point that makes them appealing to just about anybody in the strobe light market apart from professionals. Given the great price, we can’t be too picky about the other aspects. And for the most part, they do as intended and will make quite a few people content. But if you are wanting more then you will have to be prepared to pay a bit extra and also likely look into other brands than Supertech. All of TSSS’s strobe lights have very good light performance. While their layout and structure of them is by no means groundbreaking and you have likely seen similar before, it seems that the bulbs are of higher quality than a lot of their competition and the power output is also bumped up a notch. Many of their units are well into the double digits in wattage, with some being 30W or more. This means that these products can be used in much more demanding applications where many smaller and less powerful strobe lights simply wouldn’t be out enough light. Also, there are a diverse range of bulbs types so those who like larger, more pronounced (and lower numbers) of beams are content as well as those who prefer larger numbers of smaller colored dots or images that is attributed to using many smaller bulbs. Since TSSS does deal in some more powerful and advanced products, you do see a slight uptick in features that are available. There are multiple channels available in many of their units and these channels can very things such as the flash speed, light location, light colors, and more. They even have specialized transition settings that add to the dynamic effect. Also, quite a few of their products come with LED displays and/or remotes. The ease of use varies somewhat depending on which product you go for. However, even the most advanced units are still relatively easy to use. The adjustable dials and buttons are clearly labeled and easy to digest. Also, the LED displays and remotes make for an easier time controlling the flash speed and other metrics. Really the only major complaint is that quite a few of TSSS strobe lights are on the large and heavy side so mounting them or simply finding somewhere to put them will be a bit more burdensome. There is a rather wide price range so it is necessary to directly compare products of that price range with other similar prices on the market. In doing so, you will quickly see that TSSS prices their units competitively but by no means the cheapest out there. This price approach is fine with us as their units do seem to be a step above a lot of the competition in regards to performance so a slight price upcharge is completely justifiable. Overall, we really like what TSSS brings to the table. Their product lineup is diverse and should hit the chords of just about everyone, no matter what specific attributes you are looking for. The LED components they use are plenty powerful and most of the features we look for are there in some form or fashion. Prices, while not the cheapest, are still well within reason given what you receive. All in all, we recommend checking out what TSSS has to offer if you are in the market for a new strobe light. Models: RGBW Pattern Stage Light 64, RGB Crystal Light Rotating, XL89 12 LED, XL101 108LED, 88 LED Sound Activated, 10W RGBW DMX, Rotating Strobe LED, 18W Strobe Effect 6 Colors, Auto Strobe Up Lighting RGB 6, 86 LED RGB Par Light, Mini RGB Spotlight, Head LED 4-in-1 DMX, Super Bright RGBW LED Par Can, 3W LED Spotlight, 30W Ocean Wave Effect, and more. The light performance here is about what we would expect. The LEDs that U’ King strobe lights use are of acceptable quality, particularly in their higher-end models, and should handle most light to medium caliber tasks you plan to throw at them. There is a nice variety of light configurations, starting with the typical examples that have many small LED bulbs on a single surface as well as some examples that utilize fewer but more powerful LED bulbs. From an overall power standpoint, you are looking at anywhere from a few watts up to nearly 100 watts in their large units such as the Moving Head Stage Effect 7x10W. This is an acceptable level of power in our book. Features are heavily dependent on the level and price point of the model you are looking at but typically most of the features you would expect to see are there. These include things such as the typical ability to adjust light speed and most of U’ King’s strobe lights always allow for multiple light colors as well. There are also products that have moving heads which really opens up the level of customization and area that you can cover (although these obviously cost a bit more). Most products also have LED displays and handy remotes. As mentioned under the features section, we like the inclusion of remotes and LED displays as it makes it much easier to control and change settings. The moving heads also make it much less laborious in regards to pointing the bulbs in the optimal direction to fully cover a room or wall. Most of the adjustable features are accessed via simple knobs or dials that are clearly labeled and easy to master. Prices vary somewhat but, for the most part, they are very reasonable. You will find ultra-budget lines being a bit cheaper but they oftentimes sacrifice too much in the way of performance or features. U’ King finds a happy medium between price point and performance, even in their more expensive premium lineup. U’ King takes a safe and established approach to their strobe lights and does a good job in doing it. You won’t find any cutting edge or ultra-powerful models here, but what they do offer is broad enough to meet most people’s needs. The performance is fine and the features are acceptable for a vast majority of people in the strobe light market. While not the absolute cheapest, the combination of above makes their asking prices well within reason and a solid buy in our book. Light performance isn’t amazing but more than acceptable for the relatively small size and low asking prices of most of WOWTOU’s units. From a power standpoint, you are looking at mostly models that are 20W or less and take advantage of optimal light bulb placement and reflective mirrors to amplify what many might consider a somewhat weak power light source otherwise. Whatever their recipe, it does a good job and makes their strobe lights strong enough to handle smaller parties or rooms. Features are about average. You don’t get quite the versatility and flexibility that you do with higher end models such as loads of channels and unique light control options, but you do have your typical adjustable features to have some control over lights. The biggest thing holding many of WOWTOU strobe lights back is the static head. This will limit the amount of space the light can shine on as well as not allow you to have dynamic light shows. There is a very low barrier to entry in regards to understanding how to use these units. The models are not only simple to operate but also lightweight and small which makes them easy to store and mount. Speaking of mounting, you should be able to find a couple spots on them to mount and if you decide to simply place on a table or counter there are typically legs attached that allow you to do so. The asking prices for these models are more than reasonable and should be within everybody’s budget. There are cheaper models out there but the light performance is noticeably weaker with them. As for features and durability, they are about average for this price point. WOWTOU has an acceptable lineup of strobe lights that try to compete in the very competitive budget to lower mid-ranged price point. They are able to do “more with less” in regards to their utilization of relatively low numbers of LED bulbs in a way that still puts out good light but they will still struggle with larger venues or rooms due to relatively weak power output as well as a static, non-rotating head. Light performance is heavily dictated by which particular product you are looking at. XKCL strobe lights span a huge range of sizes, power outputs, LED types, and LED bulb quantities. Because of this, it is tough to make a simple statement about light performance. We will say that most of these products utilize budget-oriented LED bulbs which, while not necessarily a bad thing, does mean that overall light performance will not be industry-leading (but will typically also be much more affordable). Also, if we had to generalize, we would say that most products use quantity to their advantage by including a lot of LED bulbs. This results in small, particle light effects rather than a single beam which may be good or bad depending on the application. Features are pretty standard and will meet most people’s needs. The only people who might be disappointed with XKCL’s strobe light features are professionals or passionate hobbyists who are really wanting some more advanced features to sync in with their musical performance. Other than that, many of these units come with multiple mounting brackets, LED displays, and wireless remotes. A majority of these examples have simple knobs or buttons to control the various features which make them easy to pick up and understand. The remotes and ample mounting locations also mean that you will have an easier time finding a place to mount it versus a large, more advanced competitor’s strobe light. Asking prices are about average compared to what else is out there. As noted above, XKCL seems to focus on selling popular, commonly seen strobe lights so the prices are representative of that. Also, since they do sell a huge range of products of varying size and capacity, some products will be multiple factors higher than others but still reasonable when compared to other similar units on the market. XKCL doesn’t really do anything new or groundbreaking and rather sticks to what works with their diverse and large array of strobe lights. Performance, features, and prices are about average. There are better options out there but for someone who finds themselves purchasing as XKCL strobe light, you shouldn’t be disappointed either.